THE FILING PERIOD MAY BE SUSPENDED AT ANY TIME WITHOUT PRIOR NOTICE. THIS EXAMINATION MAY REOPEN AS THE NEEDS OF THE SERVICE REQUIRE. Restricted to permanent employees of the Los Angeles County Sheriff's Department who have successfully completed their initial probationary period. NO OUT-OF-CLASS EXPERIENCE ORVERIFICATION OF EXPERIENCE LETTERS WILL BE ACCEPTED. Permanent employees who have completed their initial probationary period and hold a qualifyingpayroll title may file for this examination if they are within six months of meeting the experience requirements by the last day of filing. However, the names of such employees will beWITHHELDfrom the certification list until the required experience is fully met. Performs the full range of technical activities relating to fingerprinting and fingerprint classification work. Positions allocable to this class are responsible for searching, registering, digital verification oftenprints, manual classification, coding and maintaining of fingerprint records. Makes identification from fingerprint cards including those from Los Angeles County arrestees, probationers, applicants for concealed weapons permits, business licenses and employees of the Sheriff's Department. Searches local, state and federal computerized systems, manual andmicrographicrecords to verify fingerprints with any previous files of arrestees and applicants. Provides and obtains facsimile information on single or multiple fingerprints of individuals from other law enforcement agencies; searches and establishes possible matches or eliminates subjects; confirms matches by visual inspection and analysis of fingerprints. Analyzes patterns, blocks patterns, and sets or corrects core and axis on fingerprints using fingerprint readers, fingerprint input monitors, fingerprint image printers, and fingerprint scanners according to established AutomatedFingerprint Identification System procedures. Codes fingerprint cards using either the Henry Classification System or the Numerically Coded Fingerprint System. Operates high resolution machines to receive and send fingerprint cards and latent tracings. Performs emergent and controlled shutdown procedures of the Automated Fingerprint Identification System. Appears in court to identify fingerprints used as evidence and givestestimony regarding authenticity and admissibility as evidence. Option II: Two years ofexperience in classifying and identifying fingerprints according to established Automated Fingerprint Identification System procedures. Physical Class II - Light: Light physical effort which may include occasional light lifting to a 10 pound limit, and some bending, stooping or squatting. Considerable walking may be involved. *To qualify, applicants must have County status in this class as evidenced by holding such payroll title.NO OUT-OF-CLASS EXPERIENCE WILL BE ACCEPTED. **In order to receive credit for any college course work, youMUSTattacha legible copy of the official transcripts, or official letter from the accredited institution which shows the area of specialization with y our applicationat the time of filing,or within 15 calendar days from the date of filing the application. Credit will be given to applicants, who possessDESIRABLEqualifications and indicate so on their employment application at the time of filing. This examination will consist of an evaluation of education, training and experience based on application information and desirable qualifications weighted 60%. An Appraisal ofPromotabilityevaluating work knowledge and skills, customer service, attention to detail, multitasking/time managementand oral communication skills weighted 40%. Notice of non-acceptance and final result letters will be mailed via USPS. Test scores cannot be given over the phone. The names of candidates receiving a passing grade in the examination will be placed on the eligible register in the order of their score group for a period of six (6) months from the date of promulgation. 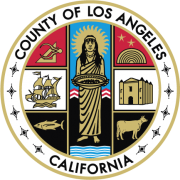 The eligible register resulting from this examinationwill be used to fill vacancies within the Los Angeles County Sheriff's Department, Technology and Support Division, Data SystemsBureau. APPOINTEES MUST BE WILLING TO WORK ANY SHIFT, INCLUDING EVENINGS, NIGHTS, WEEKENDS, AND HOLIDAYS. Fill out your application and supplemental questionnaire completely. Provide any relevant education, training, and experience in the spaces provided so we can evaluate your qualifications for the job. All information is subject to verification and applications may be rejected at any time during the selection process. The acceptance of your application depends on whether you haveclearlyshown that you meet theSELECTION REQUIREMENTSand you have completely filled out your application. Apply onlineby clicking the green"Apply"button locatedat the top right of this posting. You can also track the status of your application using this website. Your application and supplemental questionnaire must be submitted electronically by 5:00 p.m., PST, on the last day of filing. FALSIFICATION of any information may result in DISQUALIFICATION or RESCISSION OF APPOINTMENT . Utilizing VERBIAGE from Class Specification and Selection Requirements serving as your description of duties WILL NOT be sufficient to demonstrate that you meet the requirements. Doing so may result in an INCOMPLETE APPLICATION and you may be DISQUALIFIED . NOTE:Candidates who apply online must upload any required documents as attachments during application submission. If you are unable to attach required documents, you may fax the documents to (323) 415-2580 at the time of filing or within 15 calendar days from the date of filing the application.Please include your Name, the Exam Number, and the Exam Title on the faxed documents. COMPUTER AND INTERNET ACCESS AT LIBRARIES: For candidates who may not have regular access to a computer or the internet, applications can be completed on computers at public libraries throughout Los Angeles County.